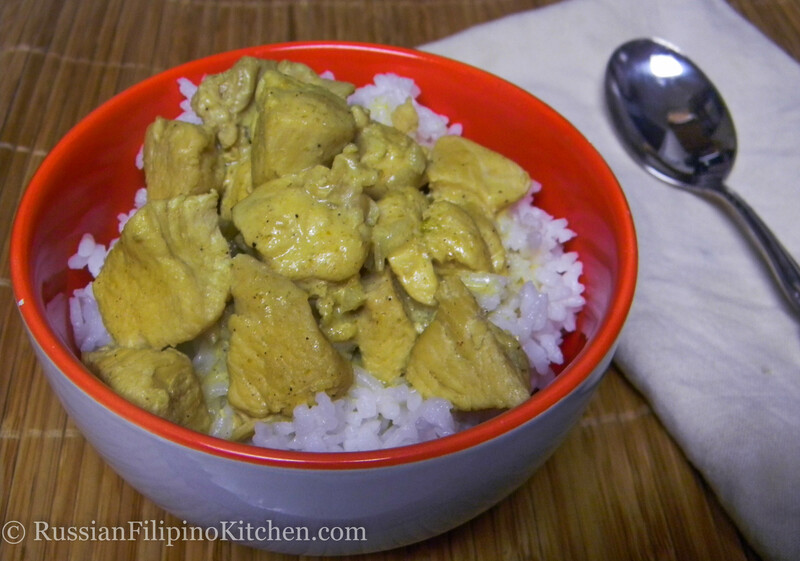 Chicken curry is a famous dish that originated in South and Southeast Asian countries. Although there are many variations in the cooking method, they share common ingredients which include whole and powdered spices that give the dish distinct flavor. Trim off fat from chicken breasts and cut into bite-size pieces. Heat oil in skillet or pot and sauté garlic and onion until slightly browned. Add chicken pieces and sauté until no longer pink, about 3 minutes. Add curry powder, salt, ground pepper, cinnamon, ginger, and cayenne pepper. Mix and cook for another 5 minutes until spices have incorporated into the meat. Shake can of coconut milk, open, and pour into the pot. Add tomato paste, water, and bay leaf as well then stir. Bring to a boil then turn down heat to medium high. Simmer uncovered for 30 minutes till liquid thickens.